Any time we can make learning more concrete and hands-on for kids they are more likely to make meaningful connections with and remember the concept. In teaching this is often done through the use of manipulatives. 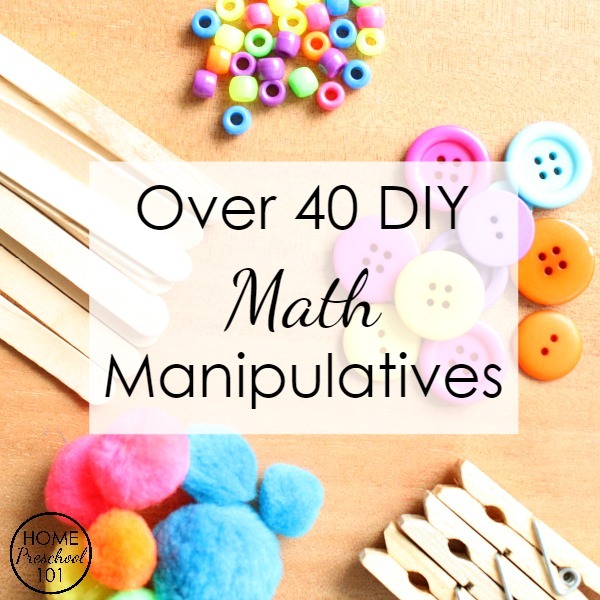 If you look around classroom or educational supply stores, you will see a ton of options for colorful, unique math manipulatives. There are many to choose from. 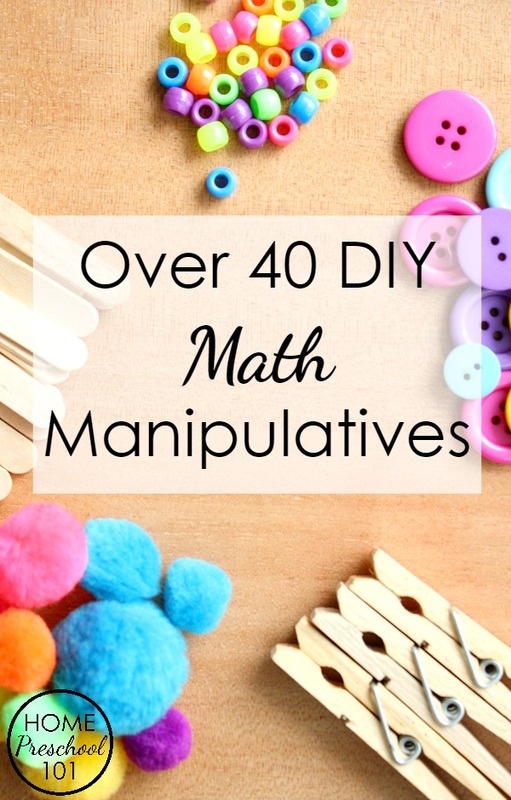 However, if you’ve got a limited budget for home preschool, there are many DIY math manipulatives sitting around your home. Save money by gathering some of them these materials, or add them to your collection of store bought manipulatives. Math manipulatives are objects kids can move to demonstrate more abstract concepts they are learning. 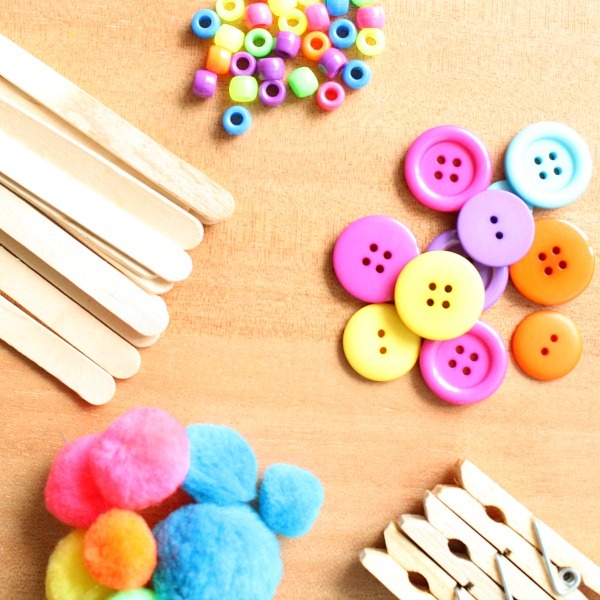 They are often used when counting, measuring, making patterns, sorting, and more. They are generally small enough for children to easily move, and they can often be used for a wide variety of tasks. Why Do We Use Math Manipulatives? Math manipulatives are a way for students to visually show their thinking. By watching kids as they use manipulatives we can see the process they undertake to solve a problem. They also provide a concrete way to show abstract ideas. When we tell a child that 2+2=4, they often can’t visualize this or truly understand what the concept means. But when we take 2 objects and add two more objects to the set, they can now see what is happening in a more concrete way. Using math manipulatives can be beneficial for all students but they are especially helpful for tactile learners who learn best through touch. By using math manipulatives kids can also test and prove ideas on their own. They may wonder how far it is from one side of the room to the other and then test it out by measuring the distance using straws or long blocks. This is great for building self-confidence and problem solving skills. And-they’re fun! 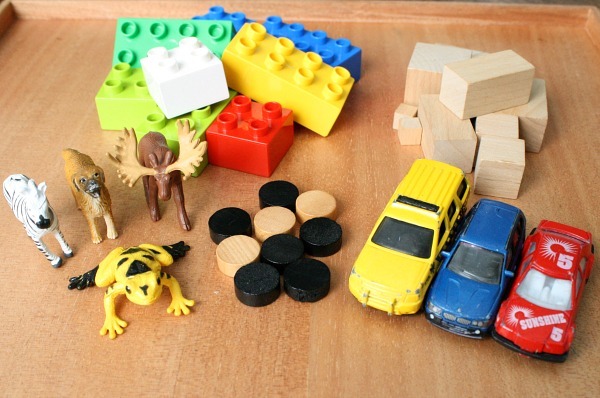 Using objects for schoolwork is just more fun than doing a worksheet, plain and simple. So what can you use as math manipulatives? Well, a lot of things! Be creative and take a look around your house. You’d be surprised what you’ll find. Here’s a list of what we thought of as we toured our homes. What did we miss? What other things do you have around your home that you use as math manipulatives? Let us know in the comments. 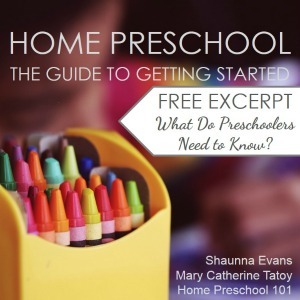 And if you have any questions or want to know more about using any of the individual recommendations, pop over to our Home Preschool Help Facebook group and ask us!